one night a long while back. winter. reading. kindle. I can't remember the book. I think it's one I'd borrowed from my local library, but possibly not. I didn't highlight this quote, just enlarged the words and took the picture and kept reading. I think it's maybe from the Fire and Thorn series, but I'm unsure, and I apologize to the author of whatever book it was. It was just something I liked. 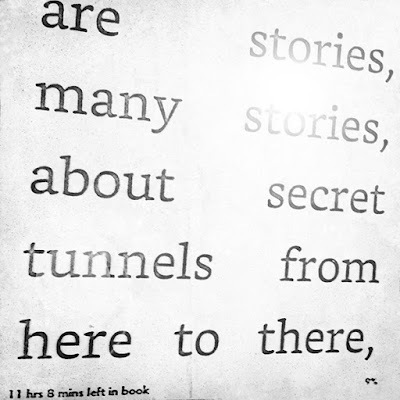 I liked the idea of all those secret tunnels. Hidden pathways. And though I knew at the time what here was and what there was, I like, all these months later, not knowing. I like here being anything and there being maybe everything. Anywhere. 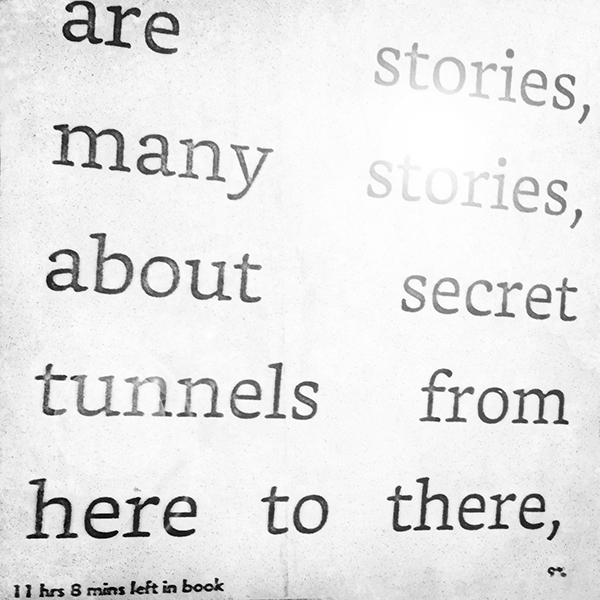 digging a secret tunnel from words to painting, i think. i have been sketching. making lists. watching the wind. small time journaling. january 31: i bought beer, lemons and bagels at the store, only there because katie mentioned my fridge was empty, unless you counted the cokes and pickled okra. i do, and they were supper more than once last week, but she was right, and we headed out. we talked about the perfume of coffee, and never mind that i'm not a coffee drinker, i wanted to buy a bag of beans just so i could smell them in the mornings. i didn't. may 1: sunday morning. may. the churchbells are ringing it in, accompanied by a woodpecker on some tree somewhere out there in the chilly sunshine. april was poets and rain and tornadoes and stuff i can't talk about. i paint walls to the sound of baseball games and movies on the television, breathing out the thoughts that scare me, breathing in the brushstrokes and nothingness. with every flood warning, i toss things out; the house empties bit by bit. i think in images i've yet to paint, and read instead of walk. there is a cardinal nest in the cherry laurel tree, the mama cardinal's tail feathers still against the storms. a skill i envy. I love these random thoughts, moments (and the LOTR reference :) ) Pleased to have found your corner of Blogland! Just wanted to thank you for mentioning that book. I looked it up, and I'm now reading it. Loving it. And thank you for your beautiful writing. It's so so lovely. I'm very glad I found your blog. Such soothing words.